Nestled within the premises of downtown Orchard, TheBigIdea Group's Marmalade Pantry integrates well into Ion's concept with its beautiful open-dining atrium - an enticing haven for diners, filled with chic furnitures and luxury comfort food, such as their legendary cupcakes, weekend brunches and dinner mains such as favourites Truffle Field Mushroom Risotto and Oriental Grilled King Salmon (S$26). 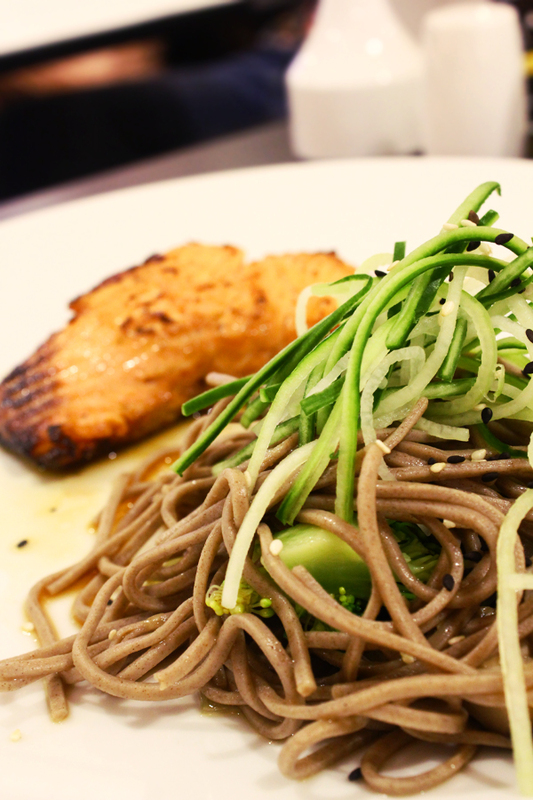 The latter was an innovating fusion of Japanese and Western with a slab of good ol grilled salmon and cucumber-paired soba noodles. For non-soba eaters like myself (partially because of the heavy wheat taste), fret not, for the "wheaty" flavour was toned down heavily in this smooth and crunchy delight. One year has passed since my previous birthday, and lo and behold, I am back once again at Marmalade and had ordered the same dish - coincidentally. 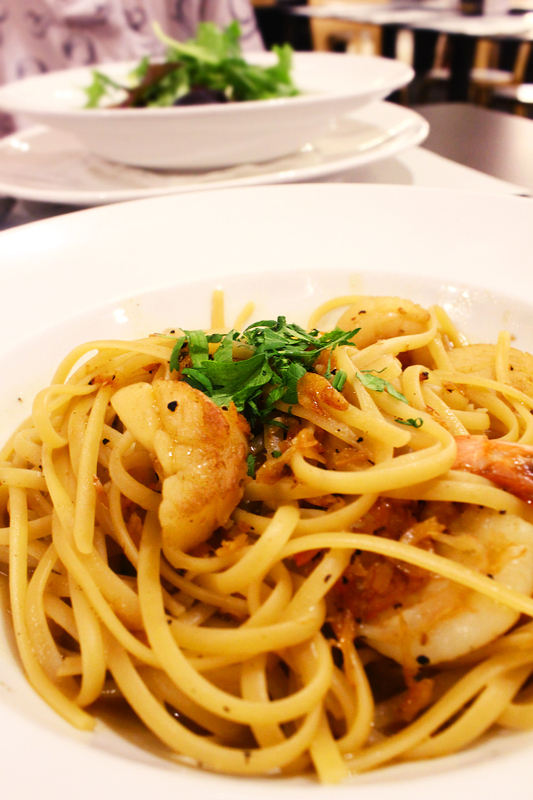 Seemingly fated to Seared Scallop Linguini (S$24), this tantalising signature was my first choice for the two occasions. The pasta was cooked slightly less than al dente this time round, but the succulent seafood and robust flavour of the dried shrimps were definitely a thumbs-up. 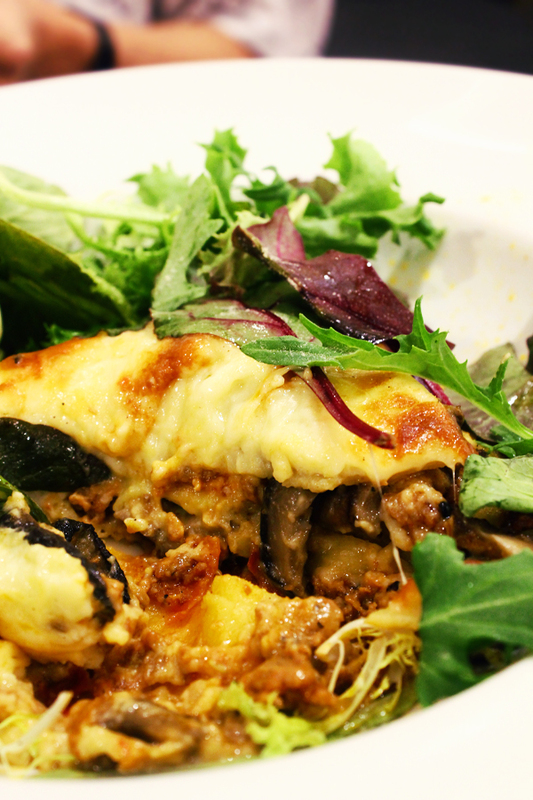 Pork and Fennel Seed Sausage Lasagna (S$24) was another favourite of myself (and "Dad-in-law" who literally wolfed it down in minutes), with all the parmesan goodness which is complemented by a good load of minced pork and mushroom slices. It comes complete with refreshing garden salad. 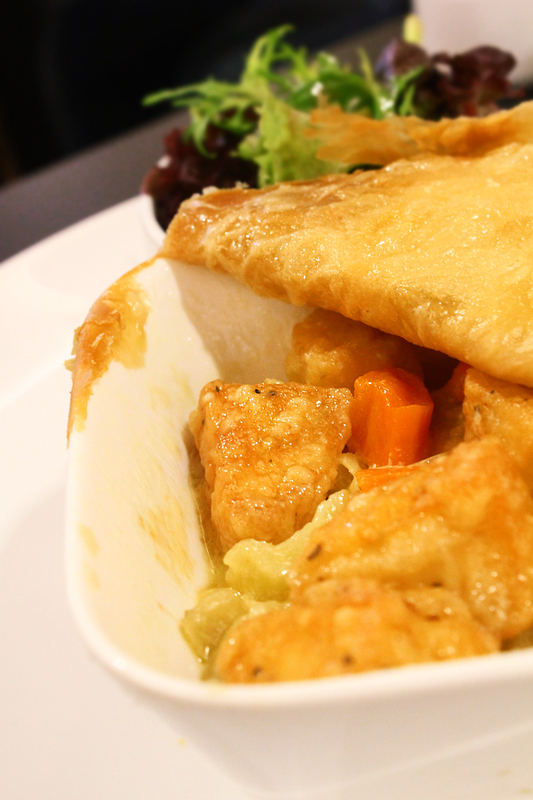 Out of the four, Classic Snapper Pie ($26.00) did not hit the mark. Hidden beneath the crispy crust was quite a miserable amount of snapper, piled together with fennel and mash. The snapper flesh was too dry and flaky for my liking, which gave me another reason not to order this in the future. All in all, Marmalade Pantry is an ideal place to have a weekend brunch/dinner, or perhaps a relaxing afternoon high tea after a day of strolling in the world-class shopping district. ^^Oh well. Another reason to visit.